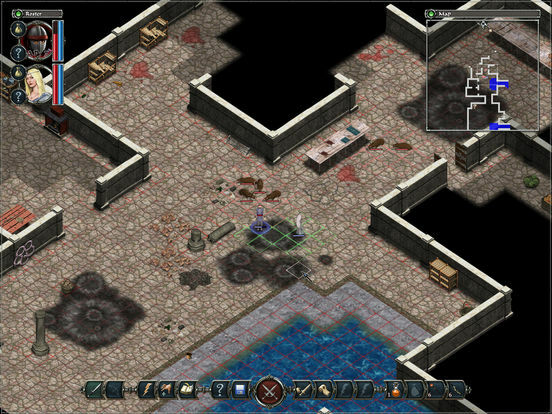 Spiderweb Software’s Avadon: The Black Fortress is a huge and detailed game that features extensive quests and moral choices. You start out by serving Redbeard, head of the Black Fortress, but as the game progresses you get to choose where your loyalties really lie. There are around 40-60 hours of gameplay if you do all the sidequests (which you’ll want to do, to get more gear and skills). Many of the boss battles require specific and innovative strategies to defeat them. As with all Spiderweb RPGs, there is masses of magic gear to find and earn, as well as secret areas. You can turn the difficulty down at any time, and then turn it back up again. Lovers of Spiderweb Software’s earlier games – the Exile/Avernum series and the Geneforge series – should enjoy Avadon, as will new gamers.